March 6, 2014 – Please ride with me. A friend snapped this Great Horned Owl with a telephoto lens. See end of this blog for solution to yesterdays mystery. On my bike trip I only have my cell phone camera – Here is what the owl baby looks like to the cell camera – The baby has not flown yet! But soon, I bet he will fly – I saw him stretch his wings the other day. 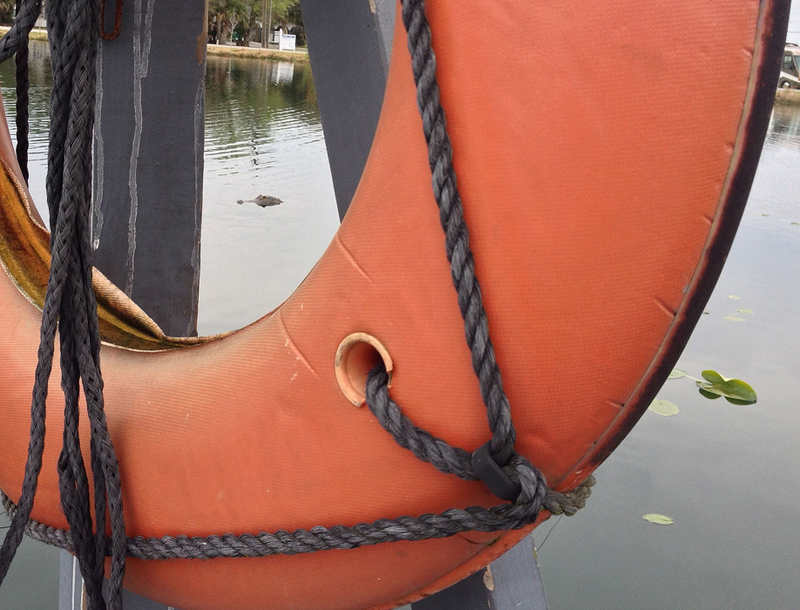 I hid behind this life ring to take this shot – of Mr. Gator! Then, I got brave and stood in front of the ring. 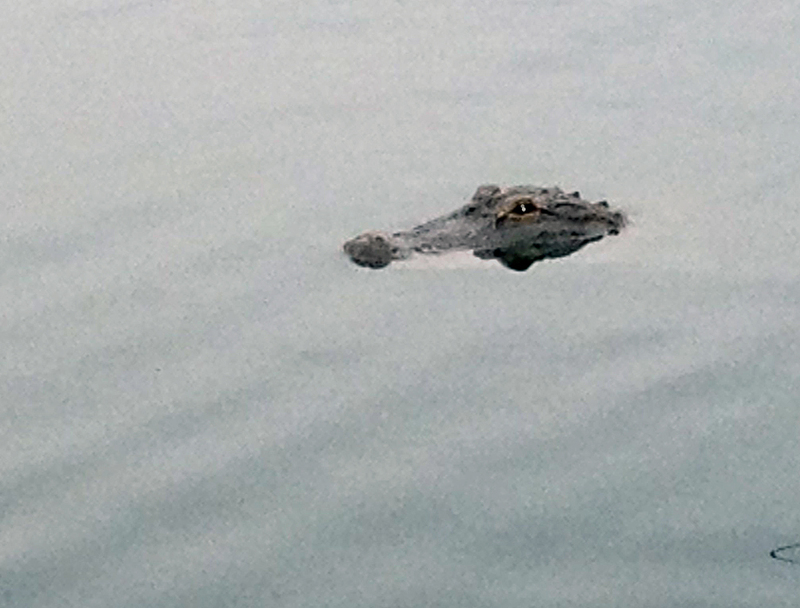 Mr. Gator is still hungry and I am still on this earth to blog you! Yesterday’s mystery – No they are not candy corn as some suggested, nor are they small peppers! 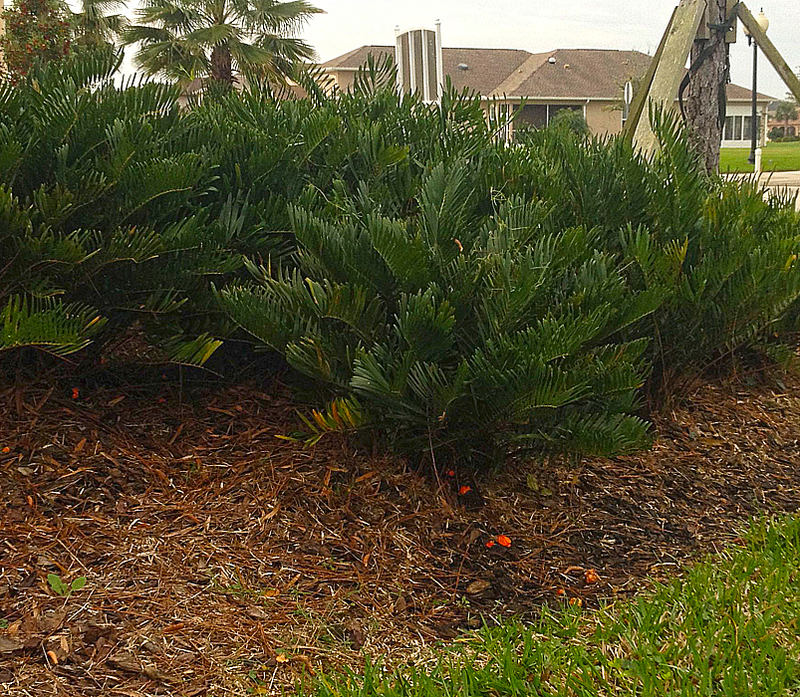 They are by this plant called a Coontie – Native to this part of Florida. 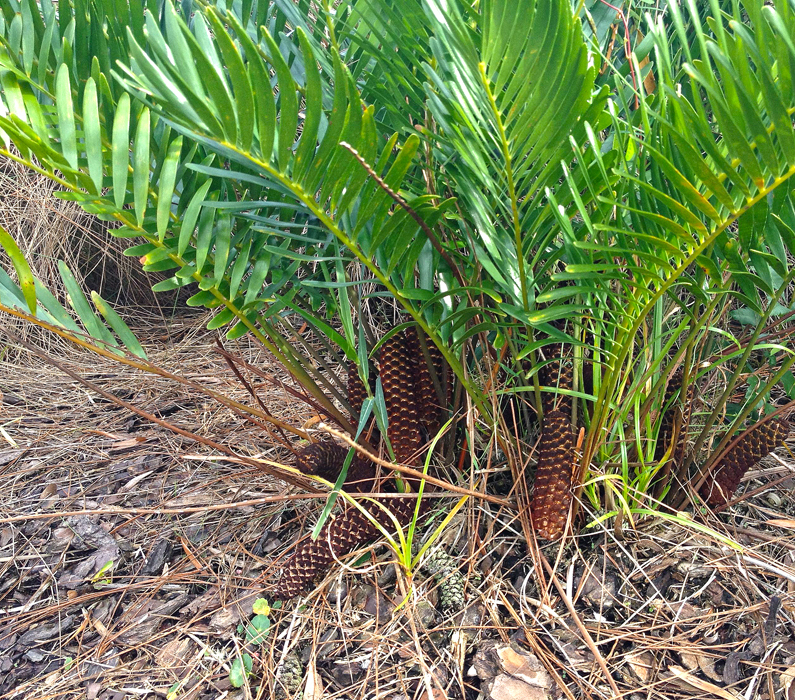 Looking closer – see these “pine cones” growing from the base of the plant – I think, from my reading, that this is the male plant. As the female pine cone seed pods are fertilized and mature, they look like this. 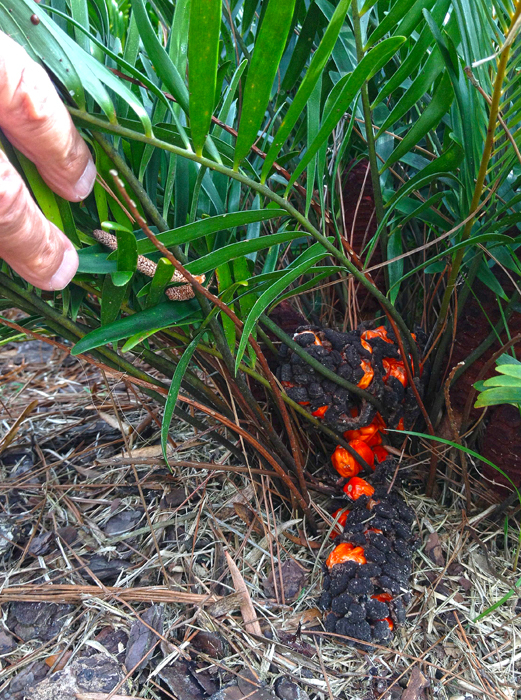 When they are fully mature and “explode” the ground looks like this — Now you know what they are – they are Coontie seeds. Coontie’s have been here since the dinosaurs. 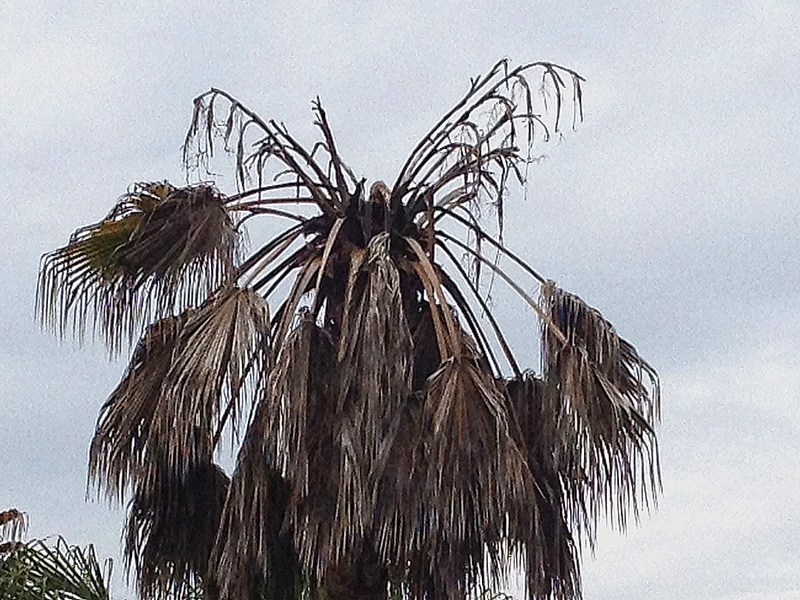 They are called “fossil plants” in some material I read on the web. Not only do you need male and female cones for seed-making, you also need one specific weevil, the Pharaxonotha zamiae. The weevil first eats the starchy male cones and then moves on over to the females where fertilization takes place. 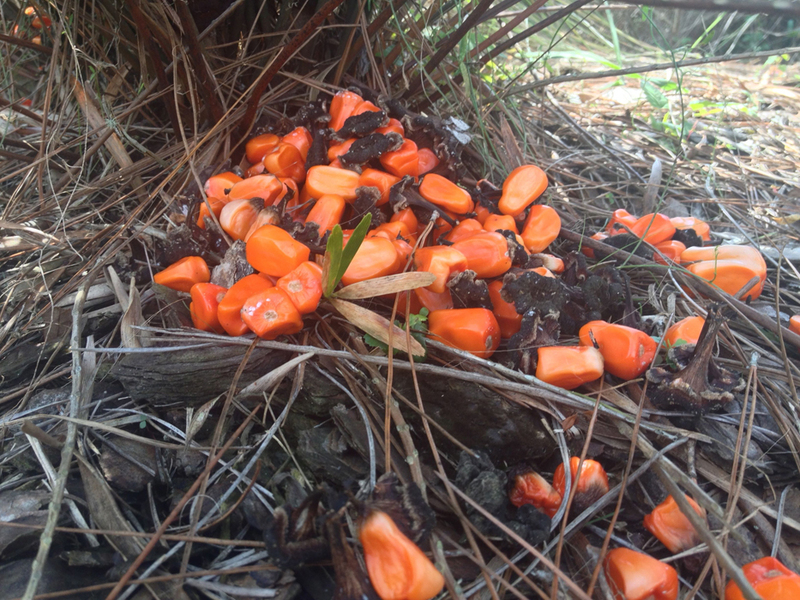 Next the female cones swell, the seeds become a vibrant orange color, and eventually the cones split apart, that is, if the birds and squirrels do not get to them first. I sure learned a lot about Coontie in my research these last few days. Maybe you can come along tomorrow! Hope so.